I know there isn’t anything more annoying than having a blogger discuss weather, but can we just discuss that it’s been around 80 degrees some days!? Honestly, wearing anything on my legs at this point is just out of the question! I tried to wear boots today, and it wasn’t happening. So, here you have a very West Coast outfit for the holidays featuring my very favorite sequin skirt! Happy Happy almost holidays, dear friends! 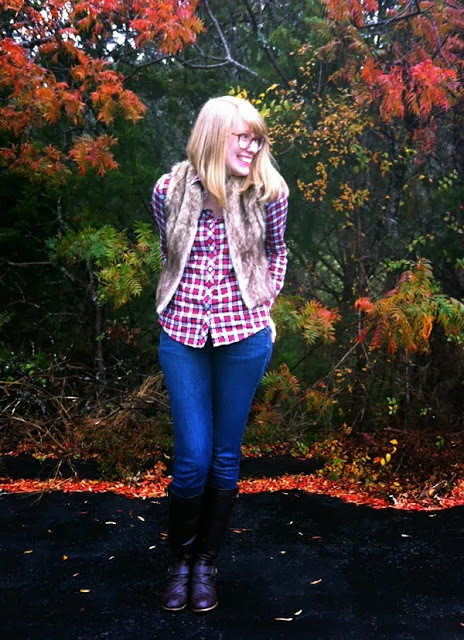 This week’s Spotlight is Nicole from Writes Like a Girl! How stylish is her plaid and fur!? Make sure to stop by her blog to see it, and say hello! Next week we are taking a break from Spotlight Weekly because of Christmas and New Years coming up! However, our next link-up will be January 9th, and the spotlight is coats! We’ll see you then! Thank you so much for reading, and for linking up! I absolutely LOVE this! Plaid+Sequins are a dynamic duo! Gorgeous pictures! That pink coat is amazing. could your plaid be any more perfect?? 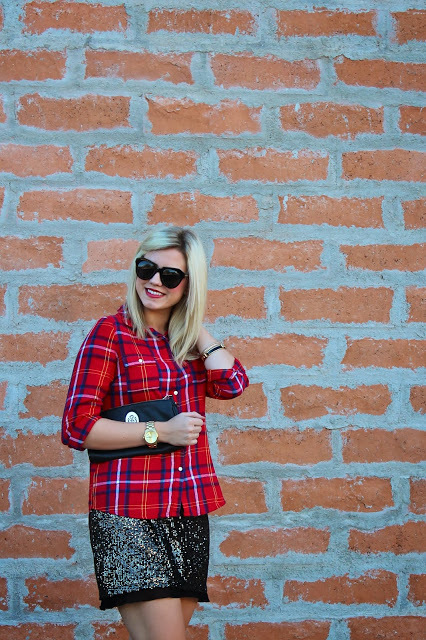 i love the pairing of plaid and sparkles for holidays. and thanks so much for the spotlight! what an honor! I can totally recreate this look for the holidays! 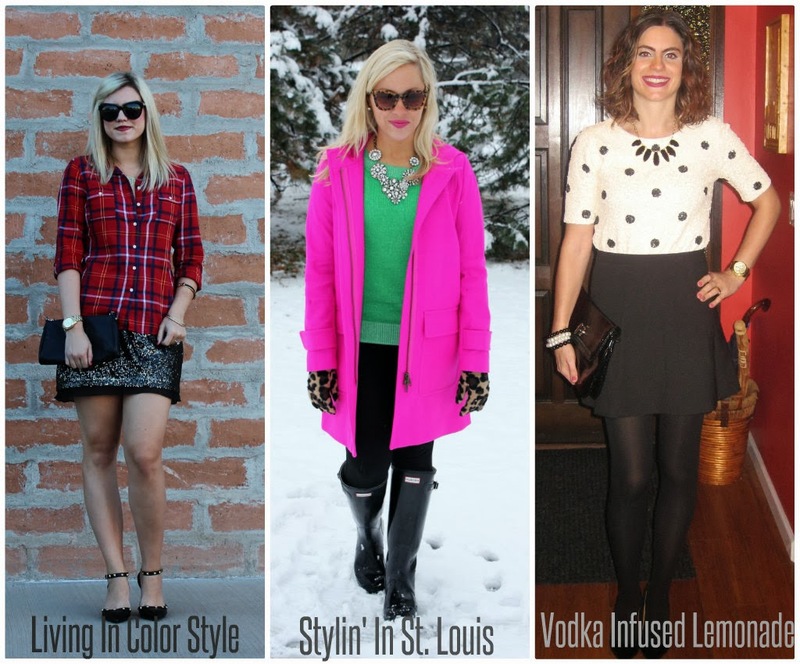 Thanks for the inspiration – love those pumps too! I love how you took a plaid shirt to a whole new level!!! This is just so fun! 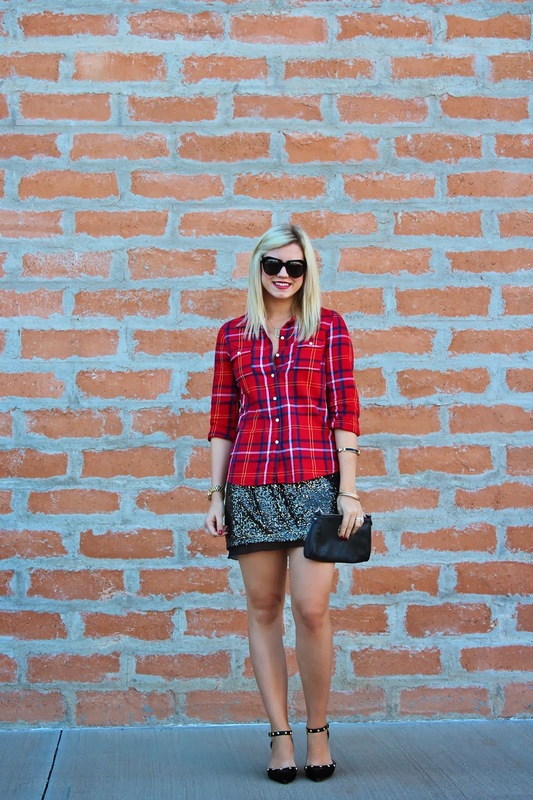 I have the same plaid shirt …now I just need a fun sparkly skirt. I love the sparkles and plaid! Such a great combo! 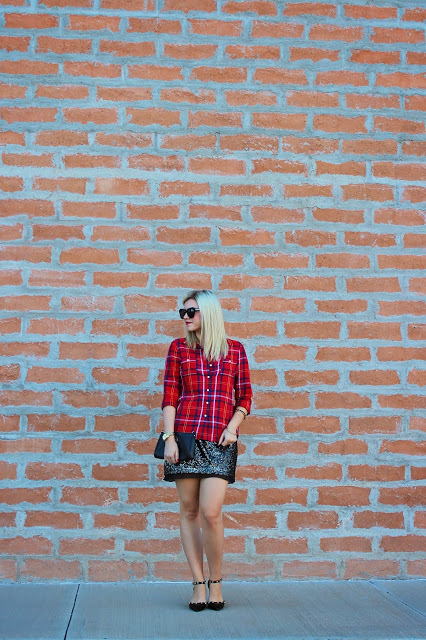 Great mix of plaid and sparkles! Would you like to visit my blog and maybe if you like follow me too? Obsessed with your festive ensemble. That skirt is amazing and I would have never thought to pair it with that print. Super cute!! Love it all, perfect!!! Love your all Gorgeous pictures, your outfits and sunglasses are always really pretty.